Before You Price Your Home for Sale- One of the keys to a successful home sale is setting the correct listing price for your home. 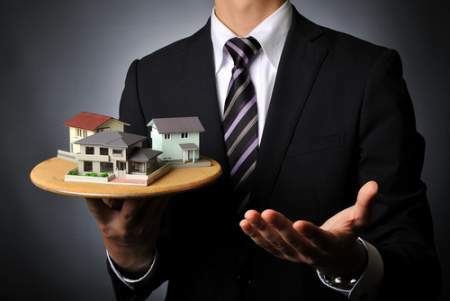 If you aim too high, you may have a property that sits on the market without a nibble. Aim too low and you could end up losing money on one of your most valuable investments. Check out these helpful tips on how to set your asking price. Get the right attention from the start. It’s important to know that there is a distinct difference between the asking (listing) price and the selling price. The asking price is the amount of money you hope to get from the sale of your property. The selling price is the amount of money a buyer is willing to pay for your home. These two numbers can be very different. Your goal is to have the selling price come in at the asking price or higher. Before you can accurately set the asking price, you’ll need to determine the value of your home. 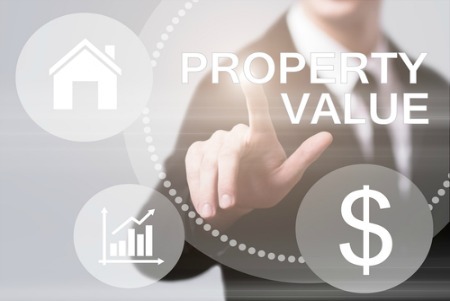 Start with a general idea of the value by using a home valuation calculator. This calculator requires you to input some basic information and it returns an instant valuation estimate. The entire process takes just minutes. However, it will give you a good initial answer to how much your home is worth. A real estate agent can provide you with a more accurate amount by completing a comprehensive home valuation report. Your real estate agent will put together a comprehensive home valuation report for you. They will look at current real estate market trends. Additionally, they will consider other homes in your area that are comparable to yours and were recently sold. They will also look at any upgrades, renovations, or needed improvements before coming up with a final value. Real Estate agents can also offer advice based on their experience with potential buyers in your area. Always ask a Realtor to help you with setting your asking price. They are dedicated to providing you with professional service. This service helps make the home selling process as stress-free as possible. Realtors’ expert advice is based on years of experience with selling homes in this area. They want your asking price to grab the attention it deserves. Moreover, Realtors will help advise you on setting your listing price. Also, they will work with you to set up a successful plan for marketing your home. Believe it or not, this marketing will allow potential buyers to actually see your listing. There are many things to consider when setting the asking price. Considerations are made for upgrades, local sales, and neighborhood amenities, but there is one thing you can’t reply on when setting the asking price. When the time comes to decide on a listing price, it’s a good idea to set your emotions aside and make an objective decision. It’s easy to get distracted by the emotional attachment we hold to our homes. The downside is that those memories and emotions do not have a financial value. Without realizing it, we sometimes inflate the value we feel should be placed on our property based on those emotional attachments we feel from the time spent living in the home. In order to help with this process, make sure you have someone there who can help you stay on track and remain objective when talking about the price setting process. When you set your asking price, you may feel confident that it’s set in stone. As offers begin to arrive, you’ll need to consider whether you’re willing to negotiate the price. When an offer arrives, you can either accept it, decline it, or return with a counteroffer. Your real estate agent handles this entire process, relaying your wishes to the buyer’s agent. If you choose to entertain negotiations, your agent will report back to you with any progress made. At that time, you can choose to accept or decline. This process may become more involved if you have more than one offer on the table. We hope these tips for setting your asking price are helpful. We can’t wait to hear from you to discuss how we can help you with creating an attractive listing price for your property.